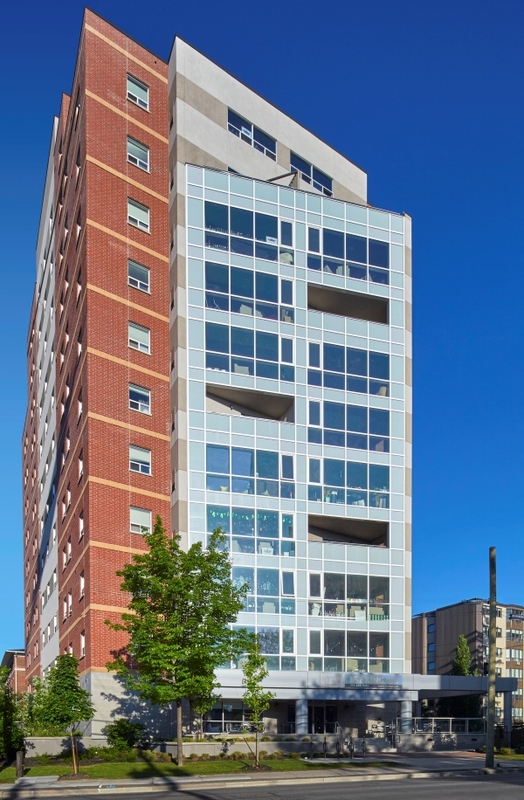 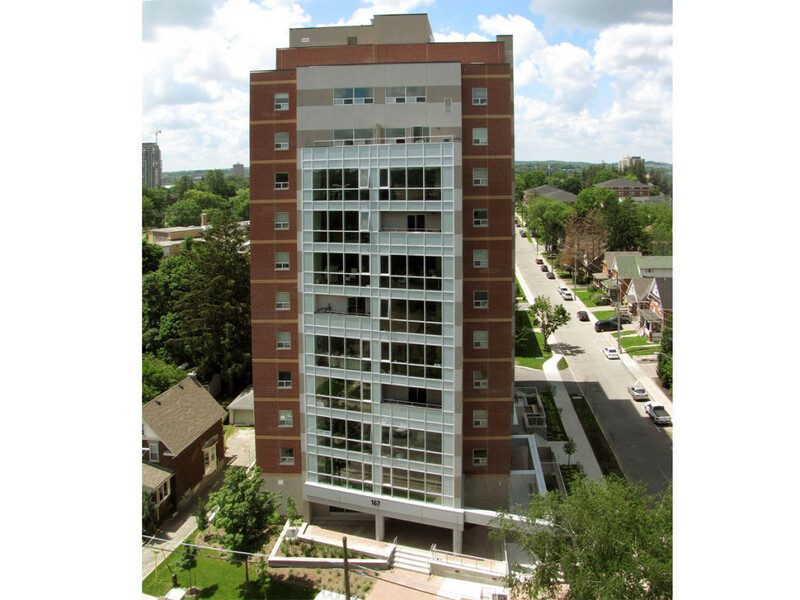 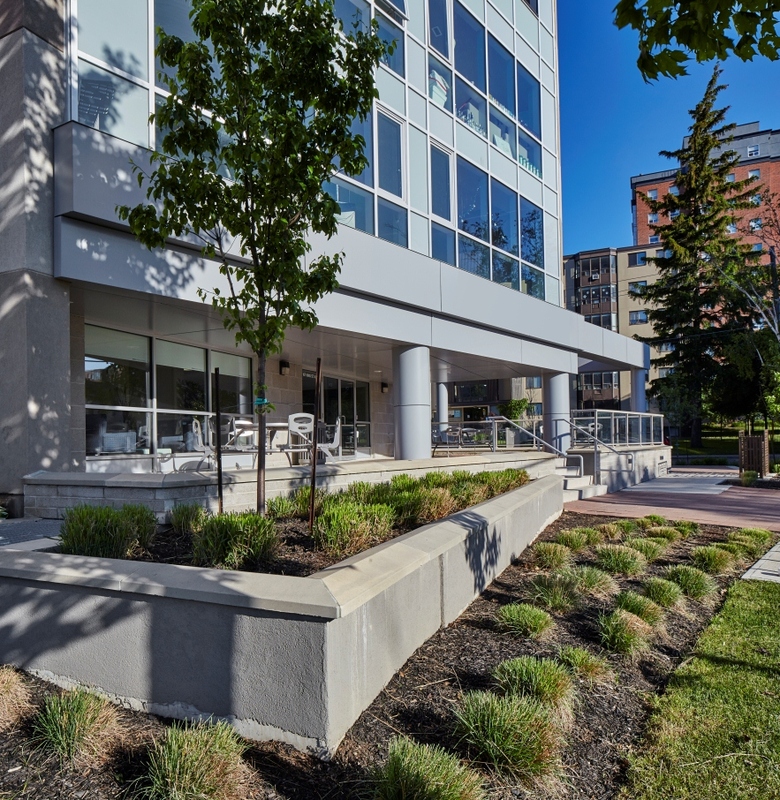 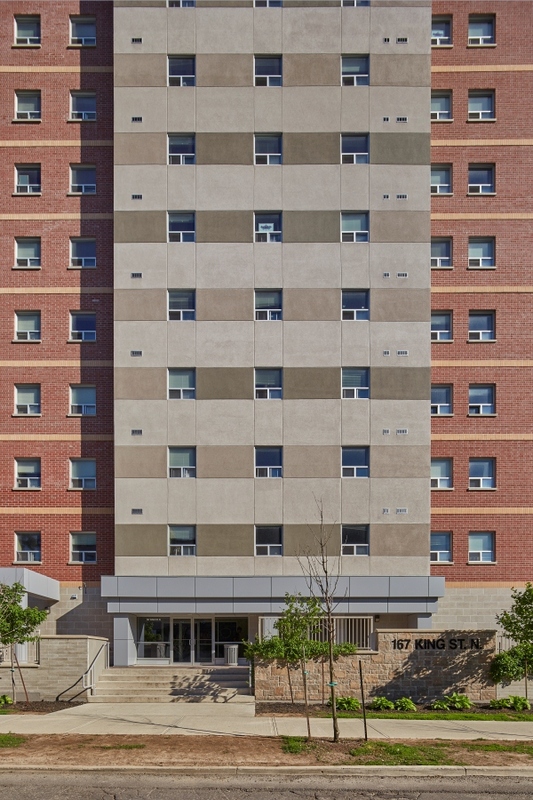 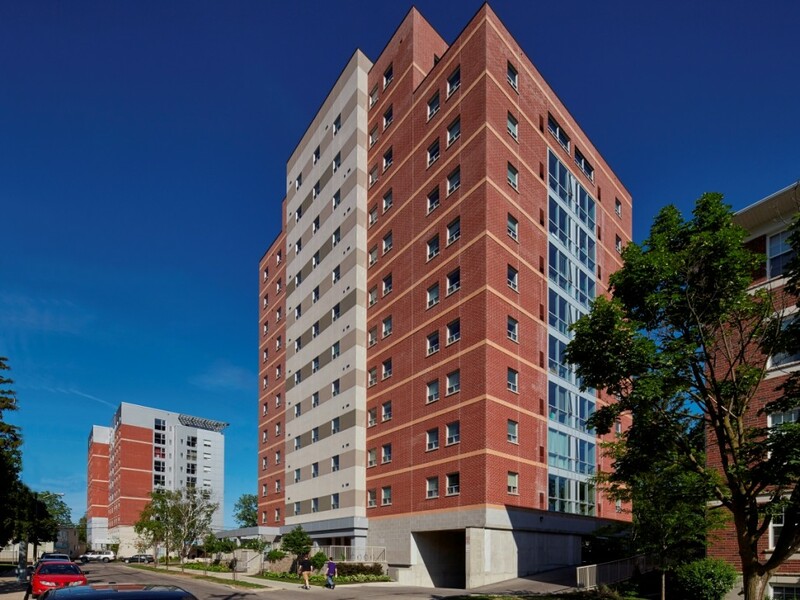 Centrally located on King Street North near the southwest corner of the Wilfrid Laurier University campus in Waterloo, this privately developed, 12-storey student residence is leased and managed by the university and accommodates 205 students in 41 light-filled units. 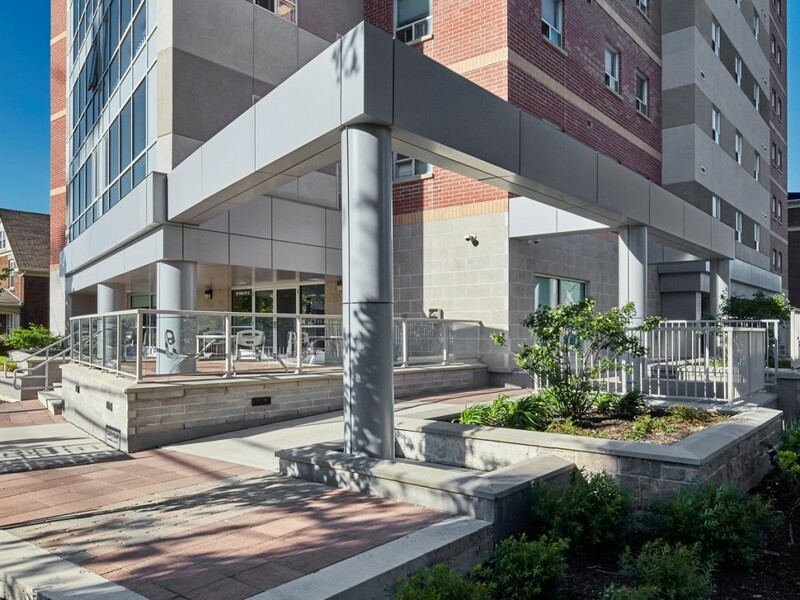 Support spaces on the ground floor include a mix of amenities and meeting/social areas. 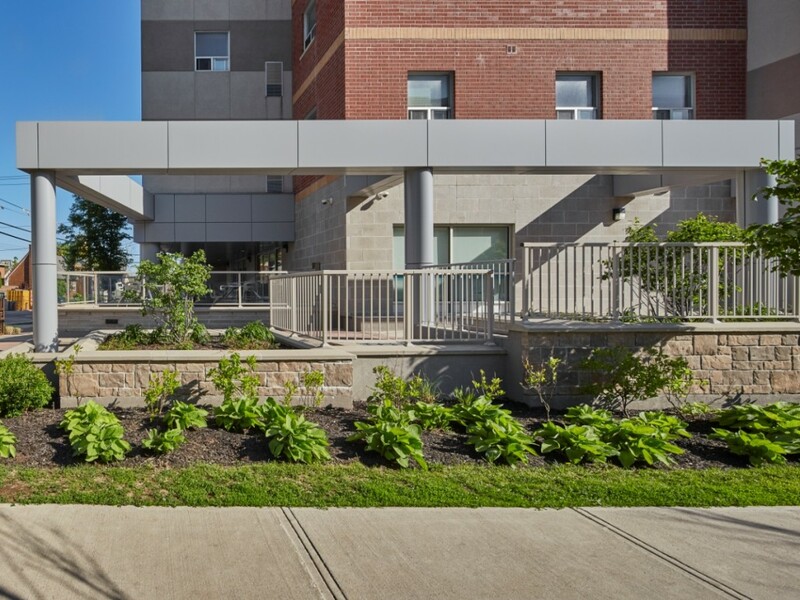 The project incorporates an inviting and attractive outdoor amenity space and landscaping facing the street.